Well, this should be interesting to watch. 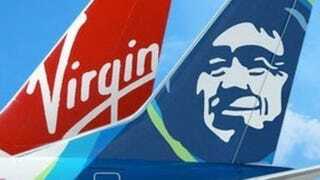 Alaska Airlines has bought Virgin America for $2.6B. This will make the carrier the 5th largest in the US and will strengthen it in the west coast market. Alaska, which flies a fleet of 737s in its mainline operation, will take on the approximently 60 A320s operated by Virgin. The leadership teams for both carriers are just starting to look at how they will integrate the brands, cultures and equipment. The head of the Virgin global brand, Richard Branson, has mixed feelings on the subject. While he bemoans the loss of an independent carrier, he acknowledges that the rough US market drove them to this place. I would also wonder if Delta’s growing pressure on Alaska’s west coast operations have helped move this purchase along. I think it had to. Alaska will face a number of hurdles to get their work groups together and to obtain their single operating certificate. Neither are easy things to make happen, but they do benefit from having some good people in key roles. This should be interesting to watch.